When Google's purchase of Motorola was finalized this past May, many expected Moto to take the reins on the next Nexus device. This was despite repeated statements from Google explaining that Motorola wouldn't receive preferential treatment over partners like Samsung, LG or Asus when it came to developing a new Nexus smartphone or tablet. In an interview with Fortune published Tuesday, Google CEO Larry Page again explained the company's plans for Motorola and its partners, and played it rather close to the vest in regards to a new Nexus. Stopping short of reiterating the company line, Page stated Google's focus was on strong relationships with its partners, and introducing new innovations to the marketplace. 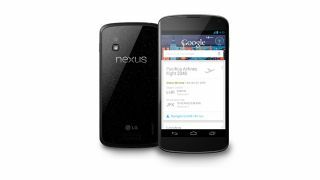 Despite just releasing the Nexus 4 and Nexus 10 in October, industry eyes are looking ahead to what Google will do next with its Nexus brand. When discussing how Google would approach releasing a Motorola Nexus device, and why there hasn't been one announced yet, Page revealed he thought it was too soon. "First of all, I don't think there's any physical way we could have released a Nexus Motorola device in that sense," Page said. "I mean, we haven't owned the company long enough." Since taking control of Motorola Mobility in May, the manufacturer has released several Android smartphones including the Razr HD and Razr Maxx. Why Google's own Nexus brand hasn't been developed by Moto remains a secret, but as the line's history shows, Google has taken its time with Nexus releases. The four Nexus phones have all been released at least 12 months apart from one another, though both the Nexus 7 and Nexus 10 tablets were released within months of one another. Page admitted the Nexus development has evolved since HTC introduced the Nexus One back in 2010. "Exactly what we do, which devices we do, what the timing is, how we release the software with them, all those things have been changing," he said. According to Page, a large part of the Nexus strategy boils down to innovation and quality, and how Google's partners can help bring that about. "Every day we kind of evaluate how do we help our partners out the right way," Page divulged. "How do we produce amazing innovative devices... and how do we keep our partners happy." "I think we've done a pretty good job of that so far." Page was careful to not discuss whether or not one of Google's partners or Motorola would lead the charge on a new Nexus device, but did explain that the company's plans revolved around the user. Getting the most efficient and high-quality product into consumer hands is a key point in Google's strategy, and Page said he hopes the rest of the industry takes note. Google's CEO has become disparaged with the "island-like" approach the tech industry has taken, with Apple, Google and Amazon each running independent economic eco-systems. "I think it would be nice if everybody would get along better and the users didn't suffer as a result of other people's activities," Page explained. "I try to model that. We try pretty hard to make our products be available as widely as we can. That's our philosophy. I think sometimes we're allowed to do that. Sometimes we're not." Google's plans for Motorola may still be well under wraps, and the company is, for now, not playing favorites, but one has to expect Google will take advantage of Motorola Mobilities' capabilities sooner rather than later.